Allow me to introduce myself. My name is Leenie P. McPhearson. I was a flight attendant with a major US Airline for over 16 years, and I am proud of my career. Several years ago, I had my first interest in writing my story, and why not? I have complied notes throughout the years; there are so many memories that will remain with me forever. I thought it was time to share my story. Reliving this part of my life story has had a real impact on me for sure, and it has certainly taken its toll; I laughed, I cried and I remembered. My goal is to tell behind-the-scene actual events. This is only the beginning, as I have already started on My Airline Years, Part II. Pilots and flight attendants do have a unique vocation. However, I thought you might find an insider’s look at their behaviors of interest. 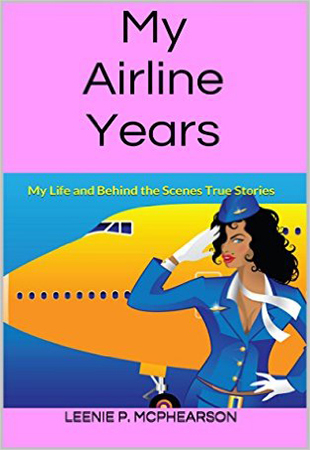 Airline crews are living the dream of fast travel, international destinations, sexual freedom, meeting the rich and famous, private parties, and so much more. I am thankful for having saved so many memories throughout the years. As aviation expands, airplanes will become much larger, and the number of flight attendants on every aircraft will increase. Stories like mine will certainly become rarer, and sadly the time spent with individual passengers will decrease. All of the names are fictitious, but certainly not the characters. The names were changed to protect the guilty! The pictures are professional, but they are not of any actual person in my story. Needless to say, I loved my years working as a flight attendant. Thank you for flying along with me through these 20 Chapters. I hope it will be a thrill ride with more to come. Part II will be an eBook soon, so please join me for the next phase of my flying career. I will relive many stories including: Sexual Exploits, Gay and Straight Parties, Ghost on the Airplane, Stories about Flight Attendants and Pilots, Strange Happenings in the Sky, and much more.